When you need a Florida process server, it is important you choose the right person or company for the job. Often process service is a determining factor in the success of your court case, whether it be divorce, civil lawsuit, or other matter. Especially if it may be difficult to find and serve the individual in question, hiring the right process server is vital. In Florida, all process servers must be certified to serve process within the county in which they serve papers. A company that provides these services should have certified process servers in each county to meet your individual needs. Florida requires that all process servers renew their certification annually and carry identification with their up to date certification information. Make sure your process server follows these regulations. Being able to find the individual to be served is the primary responsibility of a process server. The company or individual you choose should have a number of technology applications available to them to help track down individuals for service. They should be able to run a skip trace and use social media, GPS, and other means to facilitate service. Process servers should be bonded and/or insured to cover any liability claims. Florida requires all process servers to be bonded. The best process service companies will also have liability insurance to cover all servers. Unfortunately, in the world of process servers, there can be no guarantees. There are times when someone simply cannot be found, in spite of best efforts. If a company or process server offers a 100 percent guarantee that someone will be served, be wary. 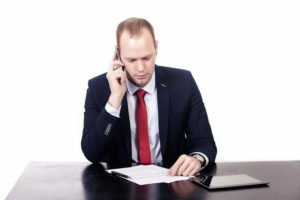 It is important that both you and the process server have realistic views of how the process works and its usual results. If you are looking for a reliable, certified, and experienced process server, we can help. Contact us today to learn more.